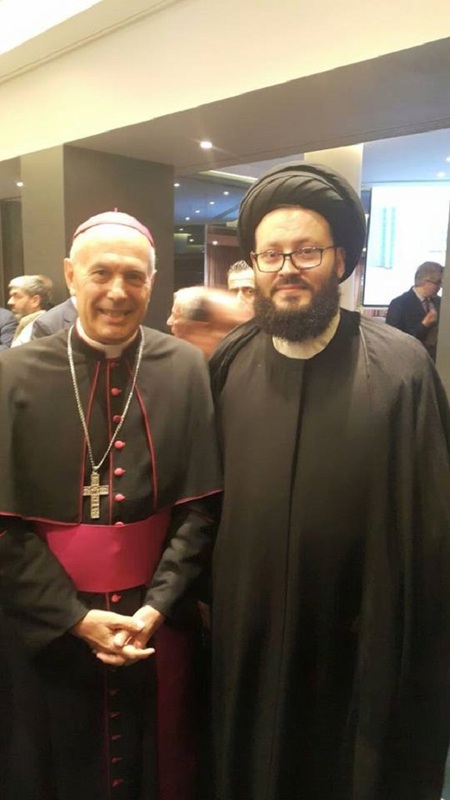 المجلس الإسلامي العربي / Sayed Mohamad Ali El Husseini with Vatican's Ambassador to Lebanon, Gabriel Kacha. • الموضوع : Sayed Mohamad Ali El Husseini with Vatican's Ambassador to Lebanon, Gabriel Kacha. .
Sayed Mohamad Ali El Husseini with Vatican's Ambassador to Lebanon, Gabriel Kacha. Sayed El Husseini warned that religious extremism and violence is a Satanic invitation which stick out the bad guys from every religion, and the call for moderation and openness, harmony and tolerance, it is an invitation divine stick out the good guys from every religion, and my meeting with the Vatican's ambassador is an example of righteous practice.